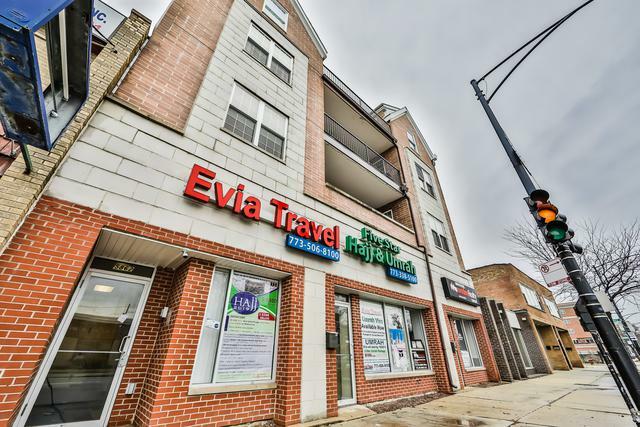 Make this incredibly spacious 2 bedroom, 2 bathroom condo flooded with natural light in a brick elevator building in Budlong Woods your next home. 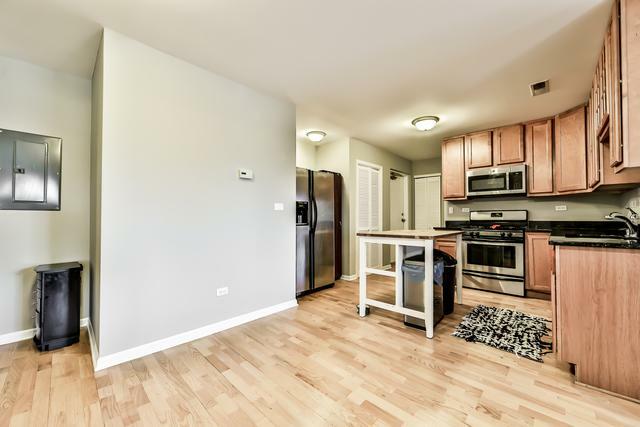 The kitchen has excellent storage with plenty of cabinets, granite counters and stainless steel appliances. 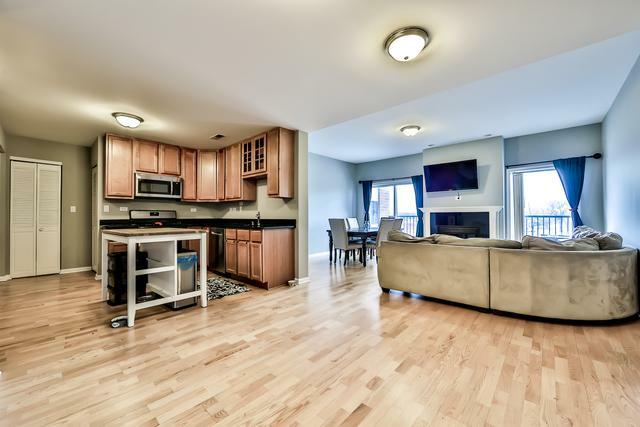 It flows into a roomy open living area with hardwood floors perfect for entertaining or enjoying family time. Spend warm summer days and nights on an over-sized balcony, or stay cozy in winter in front of a gas-burning fireplace. A large master bedroom features a walk-in closet and en-suite bath with double vanity, shower and separate jacuzzi tub. 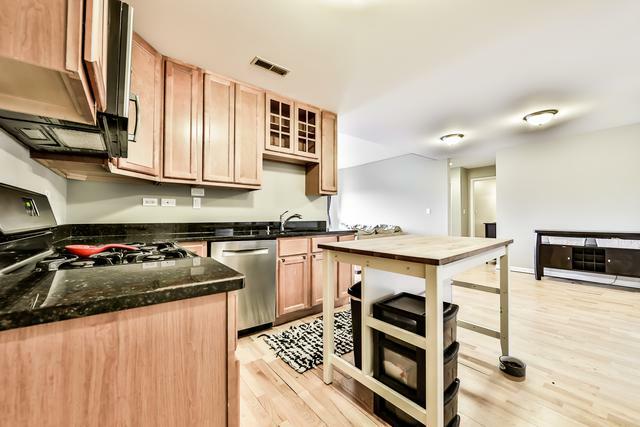 There's no shortage of storage throughout, from the large closet in the second bedroom, to extra closets throughout the unit. Laundry in unit and one parking spot included.